I liked the casually portrayed ‚out of the world‘ symbols of wisdom! 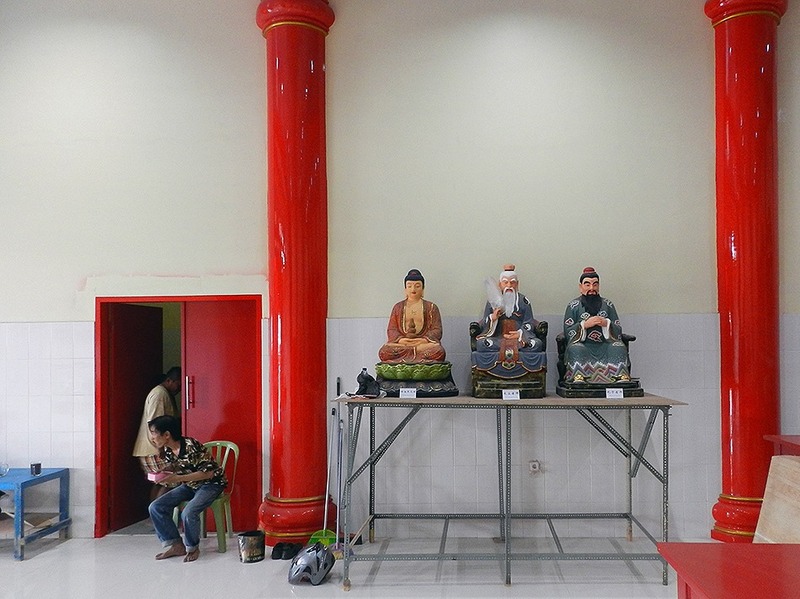 Probably Buddha, Lao-tzu, Konfucius and 2 humble workers. One – while eating his dinner – felt disturbing my view and went away although – for me – he was an important connection to the real world.